One cancer diagnosis is tough. Two cancer diagnoses seems unbearable. But to a dog like this one, it was just another way to showcase her strength and courage. 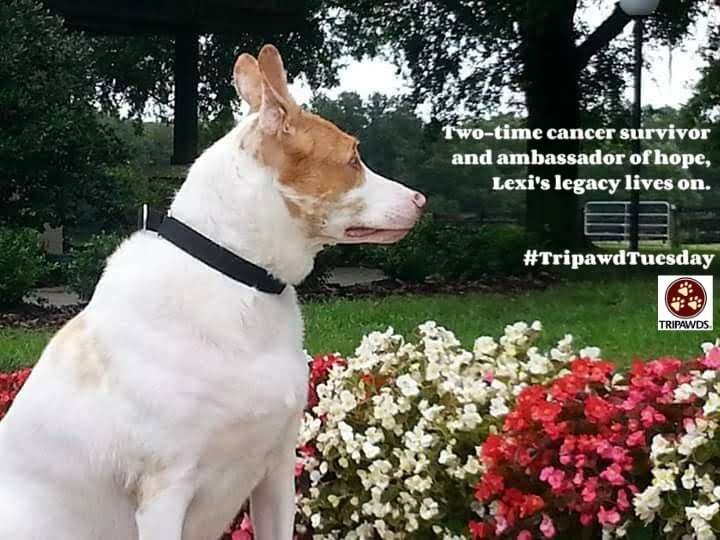 Today for our Tripawd Tuesday spotlight, you are going to love the story of Lexi, two time cancer survivor, three year Tripawd and one beautiful ambassador of hope. To be honest she inspired me. She always made people smile and realize that life is so short and to really live a life of less is more. To get out there and experience life for all it is… after all dogs never ponder the past or fret for the future they live for now. It’s been now almost a month since my Lexi passed and she continues to inspire me. She was my emotional support dog so I lost quite a bit when she left but I want the next pup to keep her story going. The story hasn’t ended for her …it’s just begun. I hope I find more opportunities to travel in our new 5th wheel (which thank goodness she was able to make our first of many trips in) and continue her story…her legacy. She changed me forever and I hope she continues to change others view of life in our future meetings.